Management Aptitude Test (MAT) is a standardized test conducted by All India Management Association (AIMA) to screen candidates for the admission to MBA and allied programs. Any B-school whether it’s national or international can consider MAT score as the yardstick for the admission to their MBA programs. MAT has been administered since 1988 and it was approved by Govt. of India, Ministry of HRD as a national level test in 2003. Being one of the largest tests of its kind in the country, MAT continues to be the gateway to over 600 B-Schools across India. MAT is a national level MBA entrance test conducted 4 times in a year in the month of February, May, September and December. The admit card for MAT 2019 (May session) will be released online. The candidates will be able to get the admit card by visiting the official website of MAT (May session) 2019. The admit card will be released differently for Paper-based test & Computer Based test. The admit card will contain the exam details like exam centre, date & timing of exam, roll no. etc. The candidate should keep their admit card with them while appearing for the entrance exam. How To Download MAT (May Session) 2019 Online? Under the Download section, Click on "MAT Admit Card"
The cut off mark for MAT 2019 will be released by the authorities soon after the declaration of the result. The cut off for May 2019 session is expected to be released in the month of May only. The cut off is decided on the basis of no of applicants, exam difficulty level, and the reservation criteria. Looking at this year's stats, it is expected that the cut off for MAT 2019 (May Session) might go higher. Combining the result and the cut off mark, the merit list for the eligible candidates will be made by the authorities. The following counselling session and admission procedure will be conducted as per this merit list. The interested candidates can apply for the entrance exam via online mode only. The candidates have to log in to the official website of MAT 2019 to apply for the entrance exam. The required documents should be kept prepared for the application form. The application fee will also have to be paid during the application submission procedure. The payment for the form can be made via Debit Card/Credit Card/Net Banking and also via Demand Draft. The DD should be made in favour of AIMA and should be payable at Delhi. The DD should be sent to the authorities on the below address before the due date. How To Apply For MAT 2019 Online? If a candidate wants to opt for both the tests i.e. PBT and CBT, he or she has to pay an extra fee of Description: rupees symbol 1100/- in addition to Rs. 1550/-. The candidates opting for both PBT and CBT will get the benefit of selecting additional 2 Management Institutions to send their scores in addition to the existing option of selecting 5 Management Institutions i.e. in total, they can select 7 Management Institutions. The counselling session for MAT 2019 is conducted after the result declaration of the result for the entrance exam. The counselling session conducted will allow the candidates to get admitted in various MBA & PGDM programs under the participating colleges. The notification for the counselling session will be available on the official website of AIMA as well as the respective colleges' official website. The candidates will be allotted with seats as per their performance and merit list. To participate in the counselling session, the candidates need to register themselves online on the respective website and get the date for their counselling session. The candidates also have to submit their counselling fees online. The candidate can also apply for the offline counselling. In that case, they have to appear at the allocated centre along with all their original documents for the counselling & document verification process. The result for MAT 2019 - May session will be declared on the official website on the due date. However, the date for the declaration has not been confirmed by the authorities yet. After declaration, the candidates will be able to check their result by visiting the official website. The candidates should also know that the result will not be sent to them via any other medium. How To Check MAT 2019 Result Online? Candidates need to have completed graduation in any discipline from any recognized university. A final year student of graduation (i.e. B.A, B.Sc., B.Com, B.Tech, etc) can also apply for it. There’s no minimum mark required to be eligible for MAT. But candidates have to secure passing marks in graduation. No age bar and Job experience are required. Q: What is the last date to apply for the May session of the MAT 2019 entrance exam? A: The Last Date to apply for the May session of MAT 2019 entrance exam is April 26, Friday for Paper-Based Test whereas it is May 10 Friday for Computer-Based Test. Q: How many times the MAT entrance exam is being conducted per year? A: The MAT entrance exam is being conducted for 4 times a year. Under Graduate Aptitude Test (UGAT) is a standardized test being administered by AIMA annually to screen the candidates for various undergraduate programs such as Integrated MBA (IMBA), BBA, BCA, BHM, B.Com, etc. It is a national level entrance test. UGAT scores will be accepted by various colleges, institutions, and universities of India for providing admission. In addition, candidates are provided individual scorecard, which can be produced to any institute.List of institutions accepting AIMA-UGAT Score Card. UGAT Exam Date 2019Events	DatesApplication form release	December 2018Last date to submit the application	1st week of May 2019Last Date for Online Filling-up/ Purchase of application	Last week of April 2019Last date to submit the printed application form	1st week of May 2019Release of admit card	Release of admit card	1st week of May 2019Release of admit card	1st week of May 2019Exam date	2nd week of May 2019Declaration of result	June 2019UGAT 2019 Eligibility:The minimum qualification is 10+2 or equivalent from a recognized board. Students appearing / appeared in 10+2 can also apply.There is no age limit is prescribed to apply for UGAT.UGAT 2019 Registration:Candidate can choose any ONE of the following modes to apply:Purchase the Registration Form against cash payment of Rs. 500/- from listed Institutes or from AIMA, New Delhi.orRegister online at the official website with Credit Card or Debit Card (ATM Card) payment, net banking of Rs. 500/-. Detailed procedure is given on the website link.orRegister online at website link: https://apps.aima.in/Ugat2018 along with a Demand Draft of Rs.500/- in favour of ‘All India Management Association’ payable at Delhi. UGAT 2019 Exam Pattern:Mode of Exam computer-based test (CBT) and paper-based test (PBT).Duration two hours and three hours for BHM course.Type of Questionsobjective type Negative MarkingyesMark distribution:SectionNo. of Questions	ApplicableEnglish Language	40For allReasoning and General Intelligence	30For allNumerical and Data Analysis	30For allGeneral Knowledge	30For allScientific Aptitude	25For BHMService Aptitude	25For BHMUGAT Syllabus 2019:Candidates must prepare as per the officially prescribed syllabus for the exam.For BHM programme, the syllabus will also include the Scientific and Service Aptitude sections. Andhra Pradesh Integrated Common Entrance Test (AP ICET 2019) is conducted for admission in MBA and MCA courses. It is a state level entrance exam which is conducted by Sri Venkateswara University on the behalf of APSCHE, Hyderabad. The admission to various universities and its affiliated colleges will be offered through AP ICET in the state of AP. AP ICET 2019 Exam Dates:Events	Dates 2019Releasing of notification	Last week of FebruaryStarting of online application form	1st week of MarchLast date to submit application without late fee	1st week of AprilDownloading of hall ticket	Last week of AprilAP ICET exam date	1st week of MayDeclaration of answer key	2nd week of MayDeclaration of Result/Rank card	Last week of MayCounselling started from	2nd week of JulyEligibility Criteria:Here we have mentioned the eligibility criteria to appear in AP ICET 2019.Nationality: A candidate must be an Indian National.Nativity: Candidate should satisfy the local/non-local status of AP state.Minimum Marks: Candidate must obtain at least 50% marks (45% in case of reserved categories) in qualifying examination for both courses.Appearing Candidates: Candidates those studied in their final semester/year are also eligible to apply.For MCA:Qualifying Exam: Candidate should pass 3 years degree in 10+2+3 pattern in any discipline from any university or its equivalent recognized by UGC.Subjects: Must qualify with mathematics as one of the subjects at 10th class level.For MBA:Qualifying Exam: Candidate must pass the 3 years of Bachelor Degree from any recognized university.Subjects: Passed mathematics as one of the subjects at 12th or degree levelAP ICET Exam Pattern 2019:Mode of Exam: It will be conducted through online mode.Duration of Exam: 150 minutes will be provided for the whole exam.Sessions: The exam will be conducted in two sessions. Candidates will be allotted any of the two sessions.Medium of Test: English for section-C and English & Telugu for section-A & section-B of the question paper.Type of Questions: Objective type multiple choice questions will be asked in the exam.Number of Questions: 200 questions will be asked in the exam.Marking Scheme: 1 mark will be awarded for each correct response.Negative Marking: No negative marking in the exam.AP ICET Syllabus:The AP ICET syllabus will be prepared from the topics as Analytical Ability, Data Sufficiency and Problem Solving, Mathematical Ability, Arithmetical Ability, Algebraically and Geometrical Ability and Statistical Ability. The section C will be comprised of the communication ability, Business and Computer Terminology, Functional Grammar and Reading Comprehension. Bharati Vidyapeeth (Deemed-to-be-University) conducts B-MAT (Management Aptitude Test) for the admission to postgraduate management courses (MBA) at the varsity as well as constituent institutes. Usually, Bharati Vidyapeeth conducts B-MAT in the month of March every year. Some of the top MBA colleges in India also consider B-MAT score for the admission to MBA course apart from Bharati Vidyapeeth. It is mandatory to clear the B-MAT exam to secure admission in the MBA course in these institutes. B-MAT 2019 ScheduleEventsTentative DatesCommencement of B-MAT 2019 online application formJanuary/ February 2019Deadline to submit B-MAT 2019 application formMarch 22, 2019B-MAT 2019 entrance test dateMarch 25, 2019Group Discussion & Personal InterviewMarch 25 to March 27, 2019Release of B-MAT 2019 merit listApril 07, 2019B-MAT 2019 CounsellingApril 22 to April 27, 2019Commencement of ClassesJuly 02, 2019 B-MAT 2019 Application Form You can apply for B-MAT entrance exam by an online application form. First, register yourself on the official website of Bharati Vidyapeeth and then proceed with the application form. Here are the details for the form.Application ModeExam FeesMode Of Payment (Online)Category Of ApplicationOnline?2006Debit Card/ Credit Card/ Net BankingFor all categories (SC, ST, OBC, General)BMAT 2019 Eligibility Criteria The applicants must be Indian nationals/ citizens of India. There are no state-level domicile rules for B-MAT 2019.Candidates who have passed Bachelor’s degree or Masters degree in any discipline with at least 50% (for general category)/ 45% (for SC/ST categories) are eligible to appear for B-MAT 2019. Candidates pursuing final-year Bachelor’s/ Master’s degree course are also eligible to appear for B-MAT 2019. Other Requirements: The candidates who have pursued their graduation in any medium other than English will have to complete an orientation course in English provided by the Institutes satisfactorily. Note: Candidates who have done their Bachelor’s degree in part-time mode or one time sitting are not eligible to apply for B-MAT 2019. BMAT 2019 Syllabus Current AffairsMathematics (only X Level)Logical and Abstract ReasoningComputer AwarenessVerbal Ability and Reading ComprehensionQuantitative AptitudeManagement Skills BMAT 2019 Exam Pattern Bharati Vidyapeeth will conduct B-MAT 2019 entrance test for 250 marks.The entrance test is a complication of three areas Written Test, Group Discussion and Personal Interview.The written test will be conducted for 200 marks while Group Discussion and Personal Interview will be conducted for 50 marks.The duration of the written test is 2 ½ hours. The mode of B-MAT 2019 will be pen and paper-based.The detailed B-MAT 2019 Exam Pattern is mentioned below. BMAT 2019 Exam Cut-Off B-MAT does not really have a fixed cut-off for the exam. The authorities at Bharati Vidyapeeth declare the cut-off only after the release of the merit list. The decision is mostly based on the no of candidates applied, highest mark scored including the group discussion and Personal Interview. For the convenience, a candidate should secure at least the minimum mark to have a chance at the exam. BMAT Exam Answer Key As the written entrance test, Personal Interview, & the group discussion occurs at the same moment, the B-MAT exam answer key does not really come out. If by any means, the answer key gets released by the authorities, students can always check the result on the official website of the university and accumulate their scores & performance. BMAT 2019 Exam Result Usually, the result of B-MAT entrance exam releases as the form of merit list. The list is based on the wholesome performance of the candidates in written test, GD and personal interview. The result always gets declared on the official website of Bharati Vidyapeeth. However, the admission process follows as per the ranking on the merit list. BMAT 2019 Counselling Schedule B-MAT counseling sessions start soon after the declaration of the result. In 2019, it is starting from the 22nd of April and will continue up to 27th of April. Here is the detailed information about the schedule.Date Of CounsellingLocationInstitute For The Admission22nd & 23rd April 2019BVIMR, New DelhiIMRDA Sangli,YMIM Karad, BVIMR New Delhi, IM Kolhapur, IMED Pune BVIMED Navi Mumbai, AKIMSS Solapur24th to 27th April 2019IMED, Pune/ Kolhapur/Sangli/Karad/SolapurIMED, Pune/ IM, Kolhapur/ IMRDA, Sangli/ YMIM, Karad/ AKIMSS, SolapurThere are also certain requirements of some documents at the place of counseling. Here is the detailed list of the required documents. Mark Statement & Pass Certificate of the exam qualifiedMigration certificate of the pass-out universityCharacter certificate of the candidate issued by the last college authorityPassport Sized Photographs (5 Pcs)Demand Draft as per the requirement(*If Applicable) Caste Certificate, Change Of Name Certificate BMAT 2019 FAQs Q: What does B-MAT stand for? A: B-MAT is an entrance exam organized by a deemed-to-be-university, Bharati Vidyapeeth for the management studies (MBA). While B stands for the college name, the MAT stands for Management Aptitude Test. Q: What is the final date for BMAT Application form? A: The last date for B-MAT in 2019 is March 22. For all other important dates check out the B-MAT 2019 Schedule above. Q: What is the medium of the entrance? A: The exam is held over three steps. They are written test, Group Discussion & Personal Interview. The Common Admission Test (CAT) is regarded as the biggest MBA entrance test in India for the admission to more than 5000 seats in all IIMs and hundreds of top MBA colleges including FMS Delhi, JBIMS Mumbai, SPJIMR Mumbai, MDI Gurgaon, IITs, XIMB, IMT, IMI, TAPMI, and others. CAT will be conducted across India around 150 cities. Test cities are mentioned in the CAT website and the name of the test center is in the Admit Card. The candidates who want to get admitted in the management programs at IIM Ahmedabad, IIM Bangalore, IIM Calcutta, IIM Lucknow, IIM Indore, IIM Amritsar, IIM Bodh Gaya, IIM Kashipur, IIM Kozhikode, IIM Nagpur, IIM Raipur, IIM Ranchi, IIM Rohtak, IIM Sambalpur, IIM Shillong, IIM Sirmaur, IIM Tiruchirappalli, IIM Udaipur, IIM Visakhapatnam, IIM Jammu and other top B-schools have to qualify in the Common Admission Test (CAT). CAT is a computer-based (Online) test. The test scores of a candidate will be calculated on the basis of Quantitative Ability (QA), Reading Comprehension (RC), Data Interpretation (DI), Verbal Ability (VA) and Logical Reasoning (LR). The test is conducted every year by one of the IIMs based on the rotation policy. The Graduate Aptitude Test in Engineering (GATE) is an entrance test conducted by the IISC (Indian Institute of Science) and 7 IITs (Indian Institutes of Technologies). The IITs conducts the exam in a rotational manner. This year the GATE 2019 is being organized by IIT Madras. The exams for all the disciplines have been concluded on the 21st of February. The result for GATE 2019 is expected soon. IRMASAT is an entrance test organized by the IRMA (Institute of Rural Management Anand) for post graduation studies. This is a social awareness test and it mainly focuses on the admission in the post-graduation diploma in rural management and fellow program in rural management. For the year 2019, applications were received until 21st January. However, the admission to the PGDRM course is followed by the CAT/XAT/GMAT/GRE scores. The whole admission follows the process including application submission, appearing in IRMASAT, Group Activity, and Personal interview. West Bengal University of Technology carry out Joint Entrance Management Aptitude Test which is shortened for JEMAT 2019 to give admission to the relevant candidates in the Post Graduate management courses from institutes of management which are affiliated with West Bengal University of Technology. JEMAT 2019 Exam Dates (Tentative):Events	Exam Dates (Tentative)Online application form submission date	June 2019Closing date of online application form	June 2019Receiving the print copy of the Registration form Last dateJune 2019Admit card Issuance dates	July 2019Date of Exam	July 2019Announcement of ResultAugust 2019GD/ PI round for admission	August 2019Counselling Date	August/ September 2019JEMAT 2019 Exam Pattern:The JEMAT is an offline pen and paper-based test. You will get the OMR sheet to fulfill the appropriate choices. You must check the exam pattern before starting your preparation.Mode of ExaminationThe paper is a pen and paper-based test.Duration of ExaminationThe candidates have to complete the test in 120 Minutes or 2 Hours.Number of QuestionsThe total number of questions in the exam is 100.Marking Scheme1 mark for each correct answer.Negative MarkingDeduction of 0.25 marks for each incorrect answer.Eligibility:Candidate should have done graduation or should have its equivalent degree from the recognized institute. Those who have appeared in the final year can also go for the examination by just availing with the result by the month of September about the respective yearCandidate must be a citizen of IndiaSyllabus:The question paper is divided into three distinct sections-Mathematics, English and Logical Reasoning. The pattern of the paper: The examination time duration is 2 hours. In the span of two hours, candidates have to complete the paper of 100 marks. The whole question is in the MCQ format. There will be a division of three sections which is as follows:English- 40Mathematics- 40Logical Reasoning- 20JEMAT 2019 SyllabusThe exam conducting body does not release any specific syllabus for the exam. Since all the management tests have common topics. Given below are the topics which generally come in the exam. For the complete Syllabus, Click HereEnglish – Reading Comprehension, Verbal Reasoning, Syllogisms and Analogies, Antonyms and Synonyms, Fill in the blanks, Sentence correction etc.Mathematics – Number systems, Geometry, Trigonometry, Probability, Permutation & Combination, Algebra, Mensuration, Time and Work etc.Logical Reasoning – Clock, Calendars, Binary logic, Seating Arrangement, Blood Relations, Coding-Decoding, logical sequence etc. JET is an entrance examination organized by the Jain University, Bangalore for the admission to its various UG and PG courses. JET stands for Jain Entrance Test. The application form for JET 2019 is available on the website now. Aspirant students can now apply for the exam by filling up the application form on the official website before the 3rd week of April. The exam will be conducted as an online test as well as an offline test by the authorities. It is advisable that before filling up the form the candidate should go through the eligibility criteria thoroughly. The Karnataka Post Graduate Common Entrance Test-2018 is being conducted for the purpose of determining the eligibility/merit, for admission of Karnataka and non-Karnataka candidates to 1st year /1st-semester full time/part time MBA / MCA / M.E. / M. Tech. / M. Arch courses and for admission to 2nd-year Lateral Entry to MCA Course in Government / University / Private Aided / Private Un-Aided professional educational institutions in the state of Karnataka which is notified by the Government of Karnataka every year. KIITEE 2019, Kalinga Institute of Industrial Technology Entrance Examination is the All India Entrance Examination conducted by KIIT University, Bhubaneswar. The exam is a gateway to get admission into various UG & PG engineering and law courses which are conducted once in a year. Interested candidates can visit the official website of the university and apply for the entrance exam. The last date to apply for KIITEE 2019 is the 31st of March, 2019. 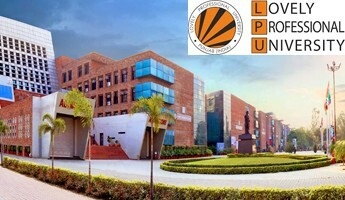 LPU NEST is a National Entrance and Scholarship Test for admission to various programmes in Lovely Professional University. This test forms the basis of eligibility for some of the programmes and for the scholarship for most of the programmes. Lovely Professional University conducts the National Entrance and Scholarship Test (LPUNEST) for B.Tech aspirants. Students studying in 12th class can apply for LPUNEST. Since its inception in 2009, more than 50,000 students appear this exam (LPUNEST) every year. The Test is conducted in online mode (Pen and Paper Mode test is not allowed) as per the schedule. This test has a two-fold advantage as it acts as an Entrance Test as well as Scholarship Test. MHT CET 2019 state level entrance exam is conducted by the Government of Maharashtra, State Common Entrance Test Cell. This exam is a gateway to get admission in Engineering, Pharmacy and Pharm. D courses. It is also known as MHT CET, through which candidates can get admission in various government and private institutions of the state of Maharashtra. NMAT is a Management Aptitude Test conducted by the Graduate Management Admission Council (GMAC) every year to get admission for the graduate management programmes in different B-schools across India. It is conducted in 44 cities across India and in 4 international centres. A candidate is allowed to take a maximum number of 3 attempts.NMAT 2018 schedule:ActivityImportant DatesApplication Start DateSaturday, 7 July 2018Application End DateMonday, 15 October 2018Re-application Start DateSaturday, 6 October 2018Re-application End DateTuesday, 25 December 2018Announcement of resultsTuesday, 22 January 2019Registration for CD/ PI23 January, 2019-to 28 January 2019Conduct of CD/ PI1 February 2019- to 20 February 2019First Merit List - MBA ProgramMonday, 25 February 2019NMAT 2018 Eligibility Criteria:MBA / MBA HR / MBA Analytics and Decision Science (Mumbai Campus):Bachelor's Degree in any discipline from a recognized University with minimum 50% marks in the aggregate (of all years).MBA Pharmaceutical Management:Bachelor's Degree in Pharmacy, Life Sciences, Medical Technology, MBBS, BDS, BHMS, BAMS, B.Sc. Biotechnology and M.Sc. Biotechnology from a recognized University with minimum 50% marks in the aggregate (of all years).Post Graduate degree holders in Economics, Psychology and Sociology can also apply.Candidates with B.Tech. Bio-Tech. , B.Tech. Bio-Medical, B.E. BioTech., B.E. Bio-Medical are also eligible to apply.Candidates working in Pharmaceutical Companies for more than two years are preferred.PGDM (Bengaluru/Hyderabad/Navi Mumbai/Indore Campus):Bachelor's Degree in any discipline from a recognized University with minimum 50% marks in the aggregate (of all years).NMAT 2018 Registration Process:Step 1: Registration at NMAT by GMAC: Visit the NMAT official site to register online and complete the registration process by paying the registration fee.Step 2: Registration at NMIMS: Visit the official NMIMS site, enter your NMAT by GMAC registration no. and complete the application process.NMAT 2018 Exam Pattern: NMAT will be conducted in online mode. The question paper consists of 120 multiple choice questions and the time limit is 120 minutes. A total of 32 questions are asked from language part which is to be completed in 22 minutes, 48 from quantitative skills with a time limit of 60 minutes, and 40 from logical reasoning part to be completed within 38 minutes.NMAT 2018 Syllabus:NMAT covers topics divided into three sections.Language skills- Language usage and their rules, Para jumble, Syntax and correct grammar, Vocabulary, Fill in the blanks, Idioms, Reading comprehension, Anonyms and Synonyms.Quantitative skills- Data interpretation, problem solving & data sufficiency, arithmetic, geometry, modern mathematics, algebra, and number systems.Logical reasoning- Family Tree, Arrangement, Numeric Grid, Coding, and Series.NMAT 2018 Exam Centers:Domestic Test Centers:RegionCitiesNorthAgra, Chandigarh, Dehradun, Delhi, Faridabad, Gurgaon, Jammu, Kanpur, Lucknow, Noida, Patiala, VaranasiSouthBengaluru, Chennai, Kochi, Hyderabad, Manipal, Mysore, Tiruchirapalli, Vellore, Vizag, VijaywadaEastBhubaneswar, Guwahati, Jamshedpur, Kolkata, Patna, Ranchi, ShillongWestAhmedabad, Jaipur, Jodhpur, Kota, Mumbai, Nagpur, Nasik, Pune, Pilani, Surat, VadodaraCentralBhopal, Indore, Jabalpur, RaipurInternational Test Centers:LocationCountryKathmanduNepalThimpuBhutanDhakaBangladeshColomboSrilankaNMAT 2018 Application Fee:The registration fee is to be paid through any one of the online transaction ways- Credit card/Debit card/Net banking/American Express card/Diners card/IMPS/UPI/Mobile wallets.EventRegistration charges (Non-Refundable)NMIMS ApplicationRs.1300/-plus applicable taxes for normal registration for either MBA Full Time Program/s-Mumbai Campus or PGDM- Bengaluru / PGDM–Hyderabad/PGDM– Navi Mumbai / PGDM– Indore.Rs.1600/- plus applicable taxes for both MBA Full Time Program/s-Mumbai Campus and PGDM-Bengaluru/PGDM–Hyderabad / PGDM–Navi Mumbai/PGDM – Indore.NMIMS ReapplicationRs. 1300 plus applicable taxes for either MBA Full Time Program/s-Mumbai Campus or PGDM-Bengaluru/PGDM–Hyderabad/PGDM–Navi Mumbai/PGDM–Indore.Rs. 1600 plus applicable taxes for both MBA Full Time Program/s-Mumbai Campus and PGDM-Bengaluru/PGDM–Hyderabad/PGDM–Navi Mumbai/PGDM–Indore. To provide admission in the first year and lateral entry into various undergraduate, masters and lateral entry programmes, the Odisha state level entrance exam called the Odisha Joint Entrance Examination 2019 or OJEE 2019 is conducted by Odisha Joint Entrance Examination Board in January 2019. The official notification will be released by the conducting body in January 2019. OJEE provides entry to first-year Master’s Degree Courses such as MCA, MBA, M. Tech, M. Pharma, M. Arch, Integrated MBA, M. Plan and lateral entry to B.Tech, B. Pharm and MCA courses. Earlier known as SET for Design, Symbiosis Entrance Exam for Design (SEED) is conducted by the Symbiosis International University in order to offer admissions to aspirants in BDes programmes.SET for Design/ SEED 2019 schedule:The examination schedule has not yet been declared. Candidates who want to appear for the exam and know more details can visit the official website of Symbiosis International University.Eligibility:Qualifying Exam: Candidate should pass 12th or equivalent exam from a recognized board.Subjects: Physics and Mathematics as a compulsory subject along with any one of the Chemistry/Biotechnology/Biology/Technical vocational subjects.Minimum Marks: Candidate should secure at least 45% marks (40% in case of SC/ST) in the qualifying exam.For BCA:Qualifying Exam: Applying candidate must pass 10+2 examination or diploma in engineering/technology from a recognized board/university.Minimum Marks: Minimum 50% marks (45% marks for SC/ST category) required in the qualifying exam.For BBA:Qualifying Exam: Candidates must have passed 12th or equivalent from a recognized board.Minimum Marks: Candidate should have minimum 50% marks (45% marks for SC/ST candidates).Exam Pattern:Mode: The exam will be conducted through online mode (computer-based).Papers: General, Design, Law & Engineering.Duration of Exam: The duration SET will be about 150 minutes.Type of Question: Objective type questions will be asked in the exam.Negative Making: No negative marking on the exam.Syllabus:The syllabus for all courses offered by the university and its affiliated institutions will be provided on the Symbiosis website. For B.Tech course, the exam will be set from the subjects Physics, Chemistry, and Mathematics of 12th class. Candidates have to study other subjects like logical reasoning, analytical reasoning, reading comprehension, and general knowledge.Application fee:Candidates have to pay Rs. 1750/- as an application fee which can be paid through credit card/net banking/cash/DD.The DD of any Nationalized Bank should be made in favour of ‘Symbiosis Test Secretariat’ payable at Pune. SMAT is conducted by Shiv Nadar University to offer admission to MBA programmes in the university and is conducted once every year. Candidates who have not appeared in any of the MBA entrance exams have to appear for SMAT to get admission in the university. Candidates are also eligible for admission as per their qualifying marks in CAT/GMAT/NMAT/XAT.SMAT 2019 schedule:The SMAT 2019 exam schedule has not been declared yet. 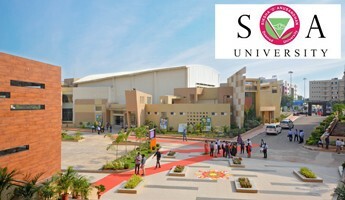 Candidates can get access to the exam dates and other details on the official website of Shiv Nadar University.SMAT 2019 Eligibility:Aspirants should have completed their Bachelors degree in any discipline with 50% marks from any recognized university.Bachelor students who are waiting for their final year results can apply for the entrance only if they submit their final year result by a given date published by the university.Candidates having possessed a valid score in CAT/appeared for the GMAT exam/NMAT/ XAT exams in the same year can get admission to the university.SMAT 2019 Exam Pattern:The exam will be conducted in offline mode. The question paper is divided into 3 sections- Quantitative aptitude, Data interpretation & logical reasoning, and Verbal & reading comprehension. Each section carries a total of 40 marks. The time allotted for the examination in 120 minutes.SMAT 2019 Syllabus:Analytical Reasoning Skills: In this section, the aspirants will have to solve problems related to logical thinking and analyzing situations.Quantitative Skills: This section contains questions related to probability, percentages, time and work, permutation and combination, coordinate geometry, average, profit and loss, mensuration, ratio and proportion variations, interest, geometry, inequalities, time speed and distance, progression, logarithm, set theory, quadratic equation, and functions.Verbal skills: Verbal Skills sections evaluate the candidates’ knowledge of English Language and Grammar. Candidates will be asked questions based on sentence completion, reading comprehension, vocabulary, and sentence correction etc. SPJAT is conducted by SP Jain School of Global Management which offers admission in Master of Global Business (MGB) and Global Master of Business Administration (GMBA). Candidates are offered admission after they pass the test and clear the overall cut off marks. The exam is conducted to assess the students’ IQ, logic, mathematical reasoning and English reading potential. The campuses are located in Mumbai, Dubai, Singapore and Sydney. The SPJAT exam is conducted in 4 cycles and a candidate can select the date as per their suitability.SPJAT 2019 schedule:EventsTentative DatesSPJAT 2019 week 11st week of January 2019SPJAT 2019 week 21st week of February 2019SPJAT 2019 week 3Last week of February 2019SPJAT 2019 Test 41st week of April 2019SPJAT 2019 Eligibility:Candidates should have a Bachelors degree from a recognized university.Candidates having a minimum of 80% mark in CAT or 650 score in GMAT will get shortlisted directly in the evaluation round.Candidates should have a full time work experience of 0-3 years.Candidates are required to complete his/her secondary education in English.SPJAT 2019 Exam Pattern:The SPJAT entrance exam will be conducted in offline (pen & paper) mode. The question paper consists of 40-45 questions and there is no negative marks credited for the wrong answers. The time duration for the exam is 1 hour. The question paper is divided into 5 sections- IQ, logical & reasoning ability, mathematical ability, GK, English reading & comprehension ability.SPJAT 2019 Syllabus:Diagramatic Reasoning- Decoding similar relation, figuring an odd one out, parallelograms, series, finding logics,etc.Logic & Reasoning Ability- Arrangements, blood relations, series, data dtructures, coding-decoding, puzzles & direction sense, etc.Mathematical Ability- Numbers System, percentage, ratio & proportions, geometry, algebra, etc.English Reading & Comprehension- Vocabulary, grammar, reading comprehension and critical reasoning, etc.SPJAT 2019 Application Fee:Candidates need to pay USD 40 through online payment option like Credit Card/International Visa/Mastercard on the official website of SP Jain School of Global Management. SRM Institute of Science & Technology conducts the SRMJEEM exam offering admission into MBA 2 year programme every year. 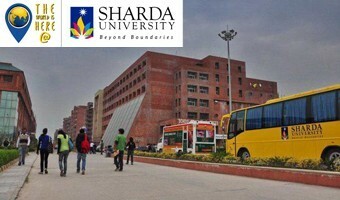 This exam is also for admission to SRM University Haryana and Sikkim. This joint entrance examination analyzes the student’s knowledge in aptitude as well as in business & management. MBA (General) and MBA Hospital Management course is being offered by the university according to the marks secured by a candidate in the SRMJEEM gateway exam.SRMJEEM 2019 Schedule:EventTentative DateRelease of application formOctober/ November 2018Last date to apply	April 2019Slot Booking	May 2019Admit card	releaseA week before the examExam dates	May 2019 (last week)Result DeclarationMay 2019 (Last week) or June 2019 (first week)SRMJEEM 2019 Eligibility:Candidates should have a Bachelors degree with minimum aggregate of 60% marks.Qualifying marks in CMAT, TANCET, XAT, MAT, CAT, & GMAT will award a candidate with direct eligibility for Group discussion/case discussion/personal interview.The candidates who do not have an eligible mark in the MBA entrance exam need to register for SRMJEEM.Candidates pursuing final year Bachelors degree/who have appeared for the final year Bachelors degree exams and waiting for the results in any discipline can also register for SRMJEEM.Kashmir migrants are eligible for relaxation in eligibility for admission as per minimum requirements prescribed by U.G.C.SRMJEEM 2019 Exam Pattern:The exam will be conducted in online mode and the duration of the examination will be 150 minutes (2 ½ hours). The paper consists of objective type multiple choice questions. There will be a total of 100 questions and each correct answer carries 3 marks each. However, there is no negative marking. The question paper is divided into 5 sections carrying 20 questions each- Data Interpretation, Quantitative reasoning, English, GK/CA/BA.SRMJEEM 2019 Syllabus:Data Interpretation- Column Graphs, Bar Graphs, Line Charts, Pie Chart, Graphs Representing Area, Venn Diagram.Quantitative- Ratios and Proportion, Ratios, Percentages, In – equations, Algebra, Profit & Loss, Averages, Percentages, Partnership, Time – Speed – Distance, Work an, Time, Probability, Permutations & Combinations.Reasoning- Critical Reasoning, Visual Reasoning, Assumption – Premise – Conclusion, Assertion and Reasons, Statements and Assumptions, Identifying Valid Inferences, Identifying Strong Arguments and Weak Arguments, Statements and Conclusions, Cause and Effect, Identifying Probably True, Probably False, Definitely True, Definitely False kinds of statements, Linear Arrangements, Matrix Arrangements, Puzzles, Syllogisms, Functions, Family Tree – Identifying the relationship among the group of people, Symbol Based Problems, Coding and Decoding, Sequencing, Identifying the Next Number in Series.English- Comprehension of Passage, Verbal Reasoning, Syllogisms, Antonyms, Fill in the Blanks, Jumbled Paragraphs with 4 or 5 sentences, Sentence Correction, Sentence Completion, Odd one out, Idioms, One Word Substitution, Different usage of the same word.General Knowledge / Current Afairs / Business Acumen- Business, The punch line of companies, Top officials of big companies, Major corporate events, Famous award and prizes, Science, History, Geography, International organizations, Social issues, Sports, Finance, Automobile, Entertainment, Politics.SRMJEEM 2019 Application Fee:The application fee of Rs 1100 can be paid both in online and offline mode. Candidates can either pay via a Demand Draft (offline) or through e-payments like Debit/Credit cards, internet banking from the official website of SRM University. Tamil Nadu Common Entrance Test (TANCET 2019) is the state level entrance examination. It is managed by the Anna University, Chennai. It is conducted to offer admissions into M.E., M. Tech, MCA, M. Arch, M. Plan, and MBA courses. Through this exam, candidates can get admission into Anna University and other affiliated colleges of the universities of Tamil Nadu. UPES Management Entrance Test is conducted once every year by University of Petroleum & Energy Studies (UPES) to offer admission into its various MBA programmes like MBA HR/Marketing/Financial Accounting/Operating Management, MBA Business Analytics, MBA Port & Shipping Management, MBA Logistics, and many more.UPESMET 2019 Schedule:UPES MET Events 2019Tentative DatesApplication form availabilityJanuary 2019Form fillup last dateMarch 2019Admit card availabilityMarch 2019Exam dateMarch 2019Results declarationMarch 2019UPESMET 2019 Eligibility:Candidates should have a minimum of 50% marks in aggregate in 10+2 and graduation in any discipline from recognized education board/university.A minimum of 75% score in MAT/CMAT and 70% score in CAT/XAT is required for direct entry into Group Discussion/Personal Interview round.UPESMET 2019 Exam Pattern:The exam is conducted in online as well as offline mode. There is a total of 140 questions asked in UPESMET for which the time limit is 2.5 hours. The question paper is divided into 4 sections carrying 35 marks each-General English, Qualitative Analysis, General Awareness, and Reasoning.UPESMET 2019 Syllabus:General English- Fact Inference Judgement, Grammar, and Vocabulary Fill in the Blanks, Reading and Comprehension, Sentence Correction, Para Jumble and Completion.Quantitative Ability- Number System, Modern Mathematics, Higher Math’s, Mensuration, Trigonometry, HCF, LCM, Arithmetic Progression, Arithmetic Mean, Arithmetic, Algebra, Geometry, Geometric Progression, Geometric Mean, Harmonic Mean, Partnership, Time, Speed, Distance, Work and Time, Profit and Loss, Instalments and Payments, Partnership, Median, Mode, BODMAS, Ratio and Proportion, Percentage, Average, Clocks, Work and Time, Pipe and Cisterns, Lines, Angles and Triangles, Cubes and Cones.Data Interpretation- Tables, Combination of Graphs, Case let, Pie Chart, Bar Graph, Line Graph, Data Sufficiency.Analytical and Logical Reasoning- Data Arrangement, Seating Arrangement, Blood Relations, Constraint-Based Puzzles, Syllogism, Proposition, Clocks and Calendars, Sets, Assumptions, Statements, Binary Logic, Family Tree, Venn diagram, Matching Puzzle.UPESMET 2019 Application Fee:An amount of Rs 1850 has to be paid either through offline mode or through online payment on the official website of University of Petroleum and Energy Studies. UPSEE entrance exam is a state level examination which is conducted by the Dr. A.P.J. Abdul Kalam Technical University (AKTU), Uttar Pradesh. It is organized for admission to the UG & PG courses in the field of engineering & technology, pharmacy, management etc., offered at more than 600 colleges. Xavier Institute of Management, Bhubaneswar conducts the Xavier General Management Aptitude Test once every year to provide admission to various programmes in the institute. Candidates with eligible CAT/XAT/GMAT score can apply for the MBA programmes in the institution and they will be eligible for the Writing Ability Test, Personal Interview and Group Discussion.XGMT 2019 schedule:EventsTentative DateApplication Starts fromSeptember 2nd Week, 2018Last Date to ApplyDecember 08, 2018XGMTJanuary 28, 2019WAT and PI1st week of FebruaryFinal resultsLast week of MarchXGMT 2019 Eligibility :Candidates should have secured 55% marks in aggregate in Bachelors degree or an equivalent degree in any discipline and 60% for MBF from any recognized university.Candidates need to have a valid XAT/CAT/GMAT score or XGMT score.GATE score is accepted only for the MBA-UMG programme.Candidates securing 1st/2nd/3rd position in undergraduate level can directly apply for MBA-PM and UMG.XGMT 2019 Exam Pattern:XGMT exam is conducted through online mode. There will be MCQs without any provision for negative marking in the exam. The duration of the exam is 120 minutes and the medium of language for the test is English for all. The question paper is divided into 4 sections- Quantitative Aptitude, VA & LR, DI, Emotional Quotient and General Awareness.XGMT 2019 Syllabus:Quantitative Aptitude- Percentages and its applications, Numbers and its applications, Ratio and its applications, Algebra, Number system, Work and time, HCF & LCM, Time-Speed-Distance, Surds and Indices, Inequalities, Logarithms, Geometry and its applications.Data Interpretation & Logical Reasoning- Bar, Table, Pie, Caselets, Data Sufficiency, Line graphs etc.Verbal Ability- Vocabulary, Reading Comprehension, Grammar, Parajumbles, Verbal Reasoning, Syllogisms, Contextual usage, Analogies, Sentence correction, Idioms, One word substitution, Critical Reasoning (and its numerous applications).General , wareness- Awards and winners, Government and Politics, Business, Economy, Famous Personalities, Current affairs, Important happenings around the World, Static GK.XGMT 2019 Application fee:The application fee for the XGMT entrance exam is Rs 1500.